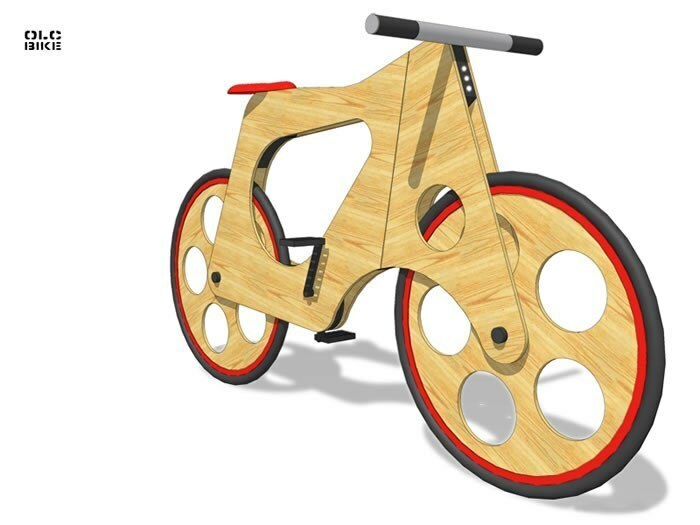 OLC Bike: CNC Plywood bike for the masses! Designed by Andrew Maynard Architects, this bike is primarily made from 6mm plywood using a CNC machine. It’s claimed it can be produced for $35!!! The idea is to strip the bike down to it’s most basic components, the simpler the better. It has 2 gears and built in LED lights and is suggested as an almost “throw away” sort of item (not as exciting, you should never throw away a bicycle!). What could be truly fantastic with this bike is they could be made locally so long as a CNC machine was available, so no more need to ship pre-made bikes all over the world, they could be sold in kit form or assembled for you for a small fee. Using a CAD program and CNC you could very easily scale it bigger/smaller for different users. No idea on what the weight of this thing might be… Heavy wheels could truly make this a beast to ride, and cross-winds could be fairly treacherous. Unto this Last – have you seen this? Will you start making them? Please? I hummed and hawed over building this. I had had the idea for months and months, but I was worried it was beyond my capabilities, that I wouldn’t finish on time, was it even safe? After much reading regarding safety standards I was convinced that my design would pass all requirements, and after a successful dresser revamp, I was confident to give it a try. I have been a huge fan of flat pack furniture made with a CNC machine such as that found at Unto This Last in London, UK (see here for my mini review). 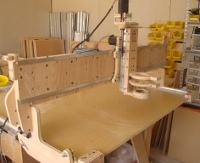 While I’d love to make furniture this way, I have no clue on how to run a CNC machine, and I certainly don’t have the $25,000+ needed to buy one (It would also take up my entire workshop!!!). I haven’t let this phase me though, and I often try to make things using the drill press and band saw. I am debating taking a course in CNC programming and seeing if one could rent the use of a machine. Back to the construction. So the pattern was cut out using a forstner bit on the ends, and the jig saw to connect the two circles to form a rectangle with rounded ends. For something different, I did an alternating pattern on the end of the crib. The two sides that would be against the wall I left solid, partially out of time constraints, and partially to cover up an electrical outlet and a dirty wall (yes I tried cleaning it, no it didn’t work, although the paint did start to come off…). After tons of sanding with a palm sander, orbital sander, and by hand, it was ready for finishing. I went to Windsor plywood to buy all the wood, and they recommended a low VOC water based polyurethane which was important to me as my daughter would be spending much of her early life in this crib. I was also hoping to seal up the plywood as there are some nasty chemicals used in making plywood which do off-gas, but with a good layer of polyurethane, this would not be an issue. The fir was stained with some ebony stain which really brings out the grain nicely. The whole thing is held together with alan key bolts that connect to nuts screwed into the wood. I’m hoping she’ll use the crib for several years, as there are two height settings for the mattress. Once she is older I plan on removing the back panel and she can have a bed that she is able to climb out of. The caterpillar front piece is actually the right size for a double bed head board (planned of course….I wish), so in theory this could stay with her for many years. So, what does a crib from Ikea cost? $100. How long would it take to assemble? 1 hour. Do I care? Of course not, I have been grinning all day every time I walk past the baby’s room and see the awesome job I did. Been a bit heavy on the photography posts lately, most likely as I’ve been busy and have only had time for taking pictures and not for building things. Last spring while wandering the streets of London, UK, I stumbled across the greatest store in the world (IMO). It’s a little furniture shop off of Brick Lane called Unto This Last. While the designs are amazing, it’s more the principle behind the shop that really got to me. The shop is named after a John Ruskin essay from 1860 which among other things suggests that manufacturing should be kept local. The store not only manufactures all it’s pieces on site, but they are made to order, so they don’t have vast amounts of stock sitting around. This saves them from renting warehouse space, and ensures they don’t end up with extra furniture that can’t be sold. 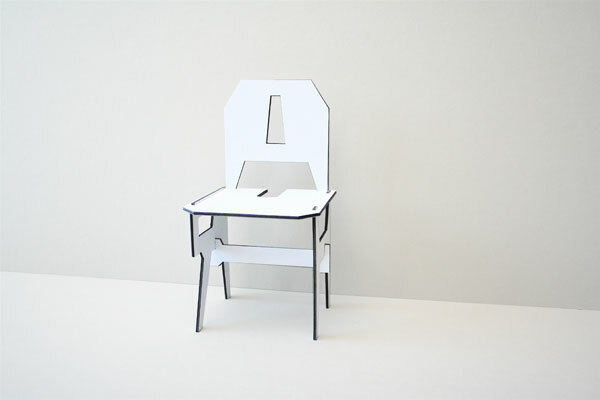 All of the pieces are made out of plywood, and are cut out of large sheets using a CNC machine. These machines are basically a computer controlled router which not only allows for precise cuts, but also enables the store to plan out their cuts on the computer beforehand, ensuring little to no waste of wood. The furniture is sold un-assembled (flat pack), however they will build it for you if required. 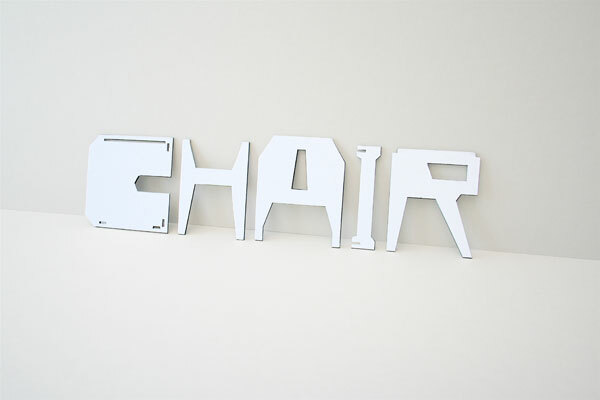 They are also able to do some customization to the pieces, such as lengthening a table, raising the height of a stool, etc. What excites me about this store, is that they could have a store such as thing one in communities all over the world, and designs could be downloaded by individuals just like we purchase movies or songs off the internet. You go to your local shop, browse the online catalog till you find the piece you like, you pay for the design and fabrication, and in 3-5 days, you pick up your finished furniture. Just imagine, you could find a really nice design by a Danish furniture maker, but instead of having that piece of furniture shipped across the world, you could have it made at the end of your street.